I am fascinated by the way in which extreme conditions in nature can transform one substance into another. As a painter, I am excited to use materials from the earth and witness their transformation into works of art. The physicality and raw elemental quality of oil paint inspires me to explore a process where convincing illusion and pure materiality coexist. 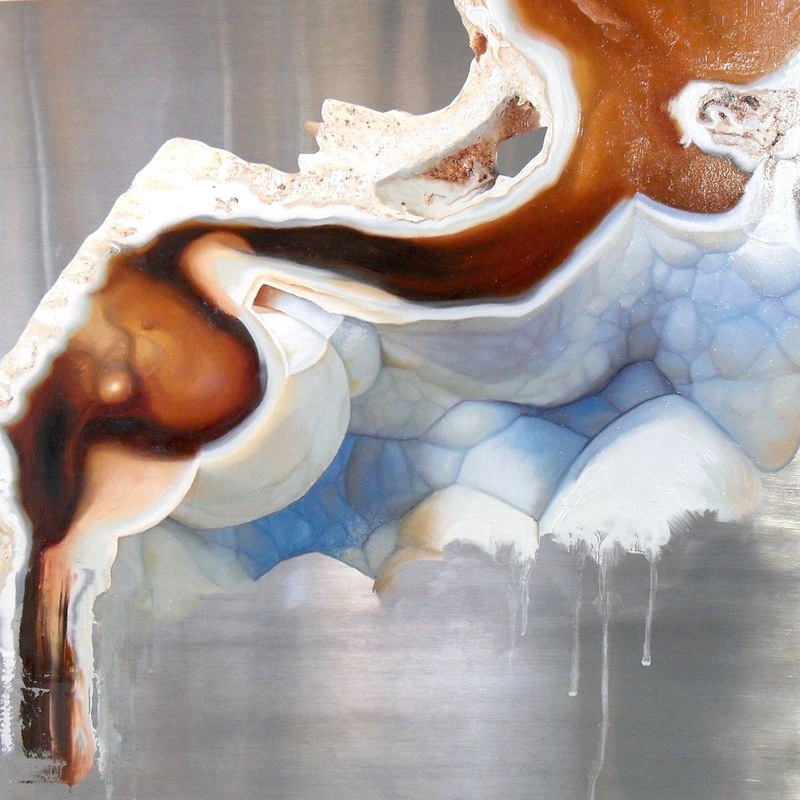 I’ve focused on creating paintings of complex mineral forms on large aluminum panels. I render these images with thick, physical paint application. Thus, the contrasts between the illusion, the sensually painted images, and the smooth, cool metal create tension in the work. The pure physical beauty, range, and variety of colors, forms, and surfaces of gems and minerals leave me in awe. I experience the same mystery and beauty in using paint to evoke those surfaces. 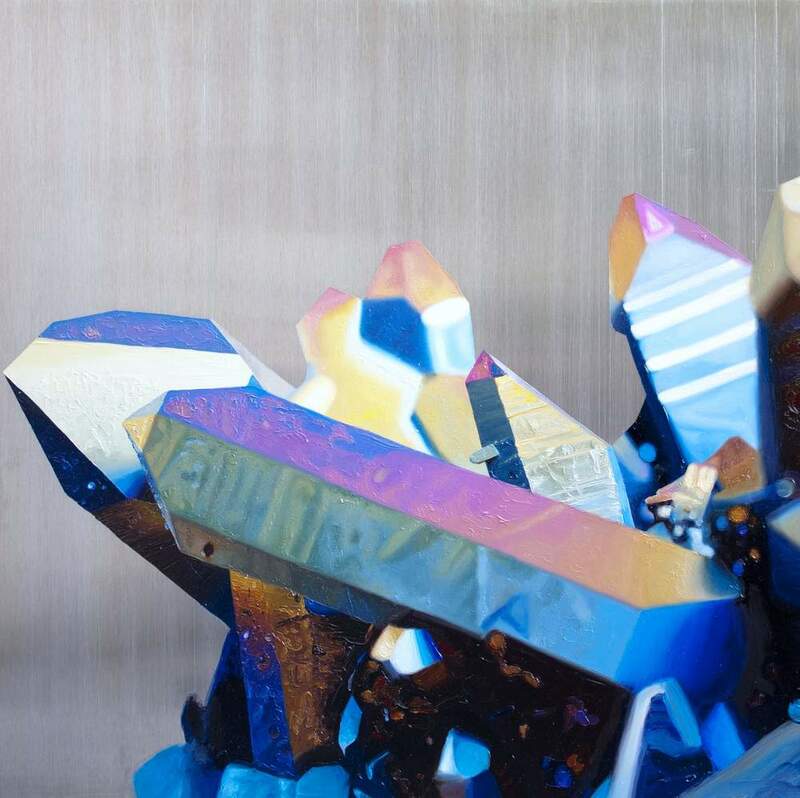 Painting minerals with paint made of minerals, on a mineral (aluminum) surface strikes me as both pure and elegant. The media I work with is important, and the painterly interpretation of the materiality of my subjects is critical and challenges me constantly. 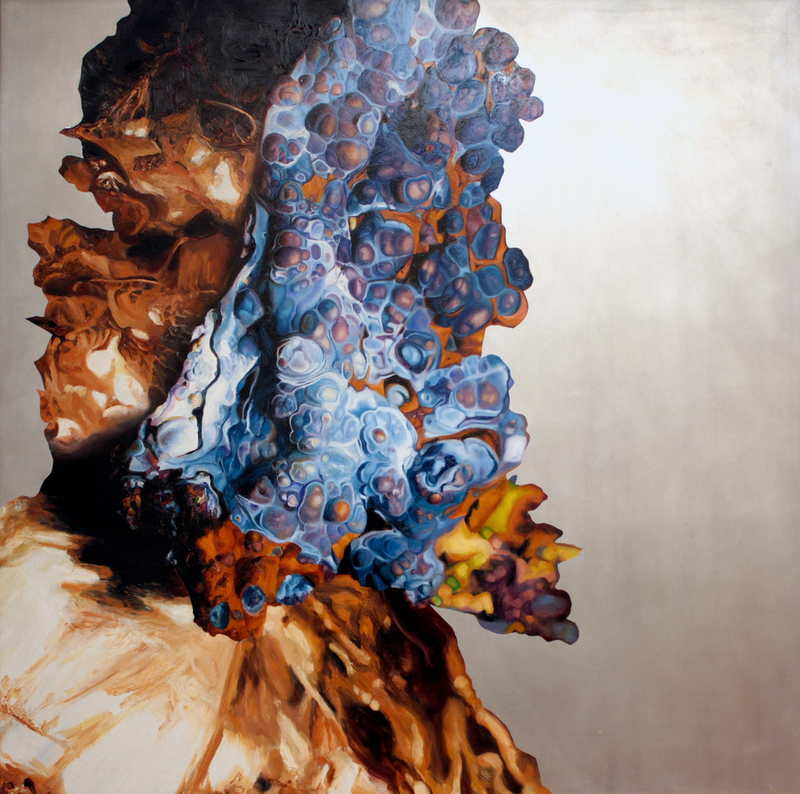 I aim to create physical works that are visually lush, but fully engaged in a conceptual approach to painting. Generally, I work from photos I have taken, appreciating the photographic blur and shifting focus as a device for creating a strong sense of space. Recently, however, I have been moving away from my dependence on the photographic image. I am playing with breaking from the boundaries of the photo, allowing the paint to exist as pure material rather than a representation. My most recent paintings use both representational and pure abstract paint application, while maintaining my on-going exploration of using paint to simulate the varied surfaces of minerals.